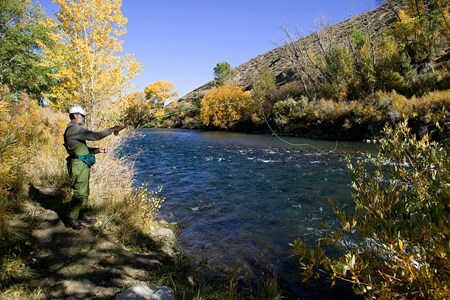 Within the Idaho borders, the most recognized section of the Snake River for fly fishing is commonly referred to as the South Fork, a 66-mile stretch that starts below the Palisades ... moreDam and flows through stark canyons, looming valleys and broad flood plains until it reaches Henry’s Fork near Menan Buttes. 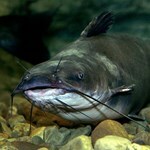 Ranked as the one of the most productive Blue Ribbon Rivers in the US, its last census counted over 5000 fish per mile. 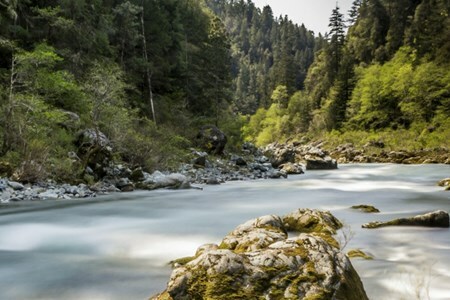 Since 1985, the River has been included in the nation’s Wild and Scenic River System, boding well for its preservation and future. 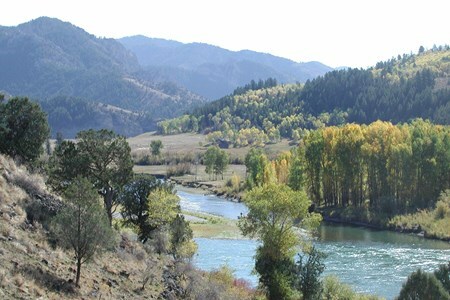 Home to the largest riparian cottonwood gallery forest in the West, it is considered by naturalists to be among the most diverse ecosystems in Idaho. 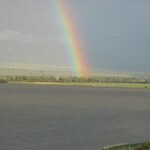 In addition to the cottonwoods, it is also home to over 120 avian species, including raptors, songbirds, shorebirds and game birds, earning it a distinctive “National Important Bird Area” designation. 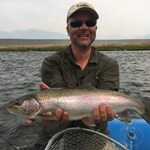 Outside of Yellowstone National Park, the South Fork corridor also contains the country’s largest native cutthroat fishery and an extensive population of other wildlife including moose, deer, elk, mountain goats, mountain lions, black bears, bobcats, coyotes, river otter, beaver, fox and mink. 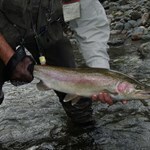 Famous for its large summer stoneflies, with Salmon flies often reaching 3 inches in length, the best dry fly fishing is during the months of July and August. 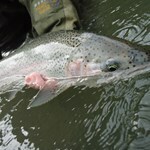 The hatches in the first half of July are so prolific that fish readily come to the surface in great numbers to seize the appetizing display. 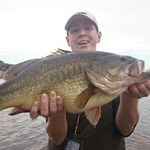 By the first week of August many fish have already been caught and released and become more hesitant to bite. 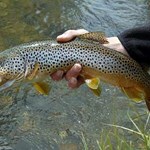 At this point experts suggest employing emerger and cripple patterns, especially if the fish are feeding in the South Fork’s riffles and back channels. 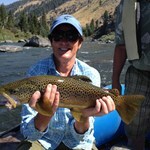 Lodging and guided trips are widely available. Maclean may have been writing about another river, but the St. Joe certainly fits his description. Bordered by beautiful fresh water lakes, the river does not just empty into them ... morebut it literally runs through them. 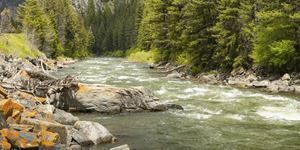 Located in the northern reaches of the Idaho panhandle, the St. Joe is thought to be the world’s highest elevation, navigable river, running for over 120 miles through Grade II and III rapids. 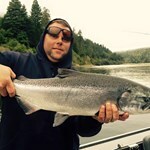 Considered to be one of the cleanest rivers in the US, it is famous for its native West Slope cutthroat trout, incredible scenery and its proximity to the sophisticated town of Coeur d’Alene. 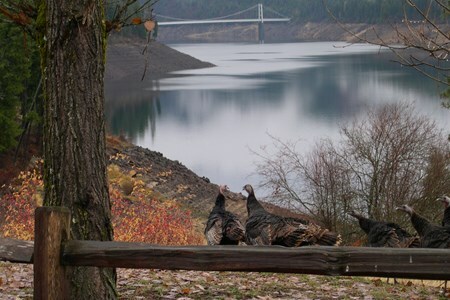 Here you can find lodging that ranges from basic to luxury, restaurants that cater to every palate and a long, interesting list of things to see and do including rafting, cycling, horseback riding, lake cruises and sightseeing via sea plane. 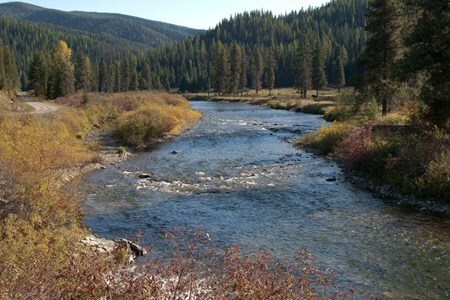 Starting high in the Bitterroot Mountains, the river has benefited from measures taken to preserve its pristine allure. 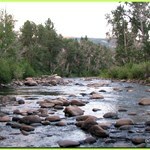 From its initial 26-mile journey to Spruce Tree Campground, it is a federally designated Wild and Scenic River. Beyond Spruce Tree to the North Fork, a run of about 40 miles, the St. Joe has been set-aside as a National Recreation Area. 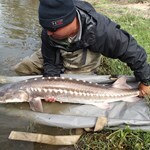 Efforts to safeguard the river have been a great boon to anglers. 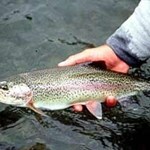 According to Idaho Fish and Game, the number of cutthroat trout in the St. Joe varies from 800 to 1,200 per mile with 30% plus measuring over 12 inches long. The river is very accessible as the St. Joe River Road runs along its banks for about100 miles. 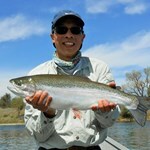 Anglers can expect to find a variety of cutthroat when fishing in these waters. 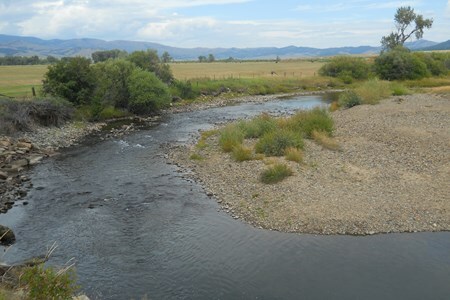 Pure strains of West Slope are thought to remain mainly in feeder streams where they were able to avoid spawning with state stocked rainbow trout, a practice that is now discontinued. 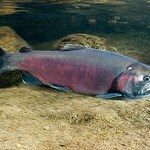 One migratory type of cutthroat moves upstream from Coeur d’Alene Lake to spawn in early spring and summer before moving back downriver. 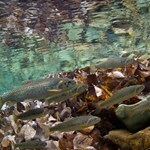 Other cutthroat species travel from the upper river to the lower river later in the season. 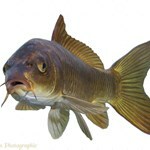 In order to keep populations thriving, the St. Joe east of Avery has been designated as catch-and-release waters and live bait is prohibited. 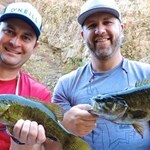 Most of the river is welcoming to all anglers, from beginners to experts, and is suited to floating the rifles or wading through its many hidden pockets. 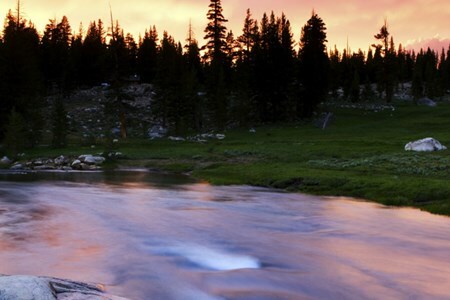 The Boulder River originates in the rugged, high elevations of the Beartooth Mountains in the Gallatin National Forest. It tumbles down 7,300 feet and 60 miles through mixed conifers, ... moredeciduous trees, shrubs, grassland, and agricultural land, to join the Yellowstone River. Most of its drainage lies within the Absaroka-Beartooth Wilderness. The upper main Boulder cuts through a glacial valley from the headwaters to Two-Mile Bridge, flowing clear, cold and fast. 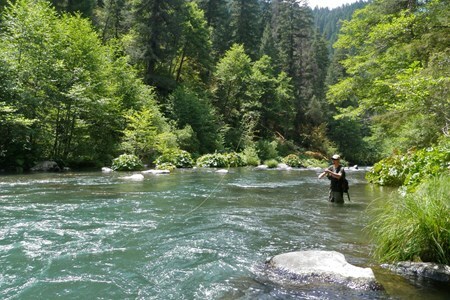 This 22.5-mile segment combines rapids, riffles, plunges, long, wide pools, and short stretches of spawning and rearing habitat in a spectacular sub-alpine setting. As the river runs north 6.5 miles to Natural Bridge and Falls, its gradient lessens, resulting in clean gravels, riffles, runs, and deep pools. Below the Falls, for 4 to 5 miles, the Boulder meanders through agricultural land to its confluence with the East Boulder. Its final 28 miles from this point to the mouth are somewhat steeper and strewn with boulders and cobbles. 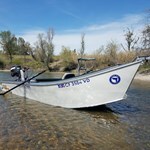 The main Boulder, East and West Boulder rivers and their many tributaries provide a wide diversity of fisheries habitats and recreation opportunities, and sustain an agricultural economy. 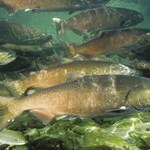 The system is part of the habitat required by fish from the Yellowstone River. It is subject to extreme runoffs, droughts, wildfire, mass wasting of soils and rock, and the impacts of agriculture, land development, and channelization. 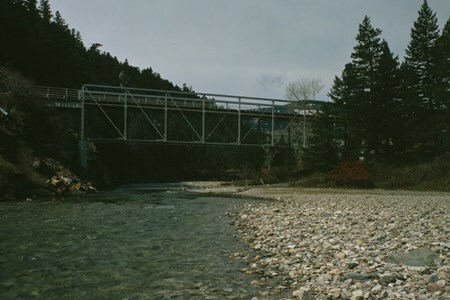 Upper portions of the main Boulder River are designated 'Scenic' and have been considered for 'Wild and Scenic' Classification. 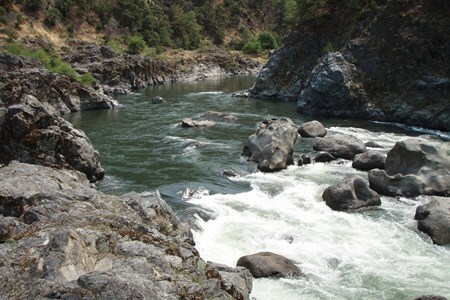 Putah Creek is a major stream in Northern California, a tributary of the Yolo Bypass. 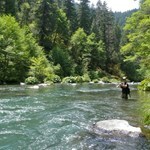 The 85-mile-long (137 km) creek has its headwaters in the Mayacamas Mountains, a part of the Coast ... moreRange. The true meaning of "Putah" in Putah Creek has been the subject of discussion and speculation. The creek originates from springs on the east side of Cobb Mountain south of the town of Cobb in southwestern Lake County. It descends eastward to the town of Whispering Pines, where it turns southeast, parallelling State Route 175. 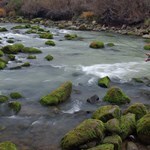 It passes the town of Anderson Springs, where it joins Bear Canyon Creek. North of Middletown, it curves counterclockwise around Harbin Mountain, merging in close succession with Dry Creek, Helena Creek, Crazy Creek, Harbin Creek, and Big Canyon Creek. 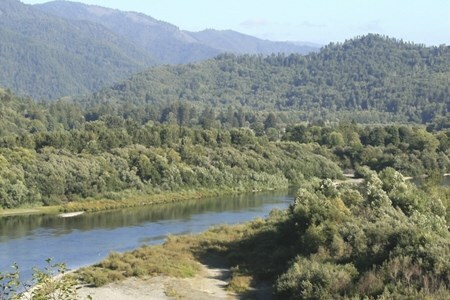 From Harbin Mountain, it flows east again, joining Bucksnort Creek, then enters Napa County at a confluence with Hunting Creek about 11 mi (18 km) east of Middletown. 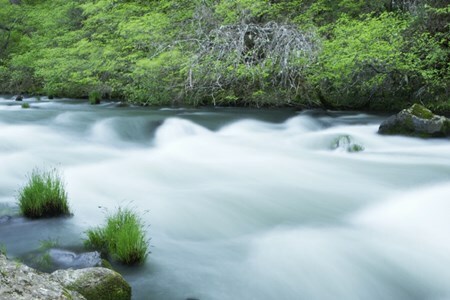 In Napa County, the creek flows southeast, merging with Butts Creek just before it empties into Lake Berryessa. Downstream of Monticello Dam, on the southeastern corner of the lake, Putah Creek leaves Napa County and becomes the boundary between Yolo County and Solano County. 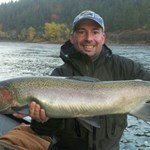 In this section it offers excellent fishing opportunities year round. 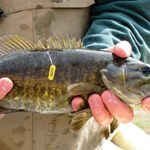 California Department of Fish and Wildlife regulations require "catch and release" in this section of the stream, as well as the use of artificial lures with barbless hooks. The stream continues east along State Route 128, receiving Pleasants Creek before arriving at Lake Solano where the Putah Diversion Dam diverts flows to the Putah South Canal, carrying water to the residents of Vallejo. Below Lake Solano, Putah Creek receives McCune Creek, then its last tributary, Dry Creek. 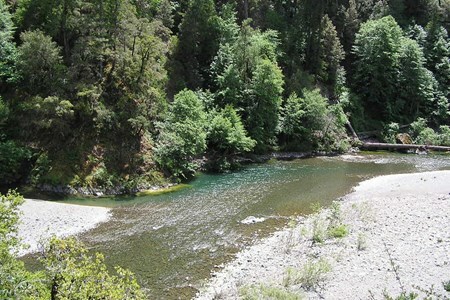 After the Dry Creek confluence it passes through the town of Winters to reach Interstate 505. From there Putah Creek channel continues eastward, parallelling Putah Creek Road to Stevenson Bridge Road. Putah Creek used to flow near downtown Davis in what is now the UC Davis Arboretum channel, but early settlers redirected the creek south of Davis in 1871, and in the late 1940s the Army Corps of Engineers added levees to what is now the South Fork Putah Creek. A few miles east of Davis, the county line turns south, but the South Fork Putah Creek continues eastward, passing south of Davis to feed into the Yolo Bypass about a quarter mile (400 m) west of the Sacramento Deep Water Channel. 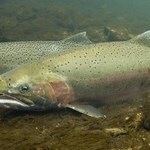 Steelhead trout (coastal rainbow trout) (Oncorhynchus mykiss irideus) and Chinook salmon (Oncorhynchus tshawytscha) continue to survive in Putah Creek. 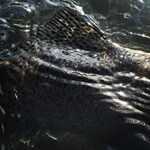 Although these anadromous salmonids cannot pass the Putah Diversion Dam, stream resident rainbow trout continue to thrive above Monticello Dam in the upper headwaters and grow to large size in the first few miles directly below the dam. 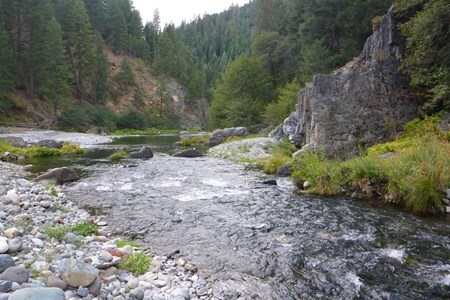 In December 2014, the California Fish and Game Commission designated Putah Creek a "Wild Trout Water" and efforts by citizen groups to restore the creek appear to be resulting in increased salmon rearing in the lower watershed. 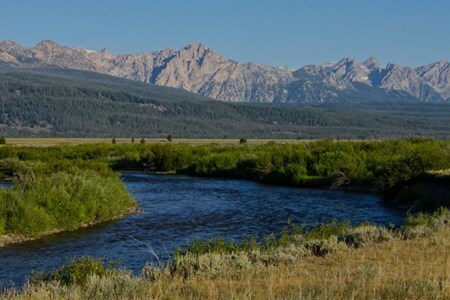 The Upper Truckee River is a stream that flows northward from the western slope of Red Lake Peak in Alpine County, California to Lake Tahoe via the Truckee Marsh in South Lake Tahoe, ... moreCalifornia. 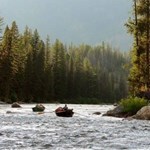 The river flows northeasterly and is 23 miles (37 km) long. 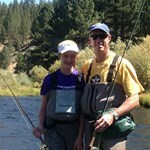 It is Lake Tahoe's largest tributary. This watershed is the largest in the Lake Tahoe Basin and occupies 56.5 square miles (146 km2), which is 18 percent of the total land area tributary to Lake Tahoe (314 square miles (810 km2)). 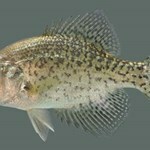 Tributaries include Angora, Echo, Grass Lake, and Big Meadow Creeks, and Upper and Lower Echo, Round, and Dardanelles Lakes. 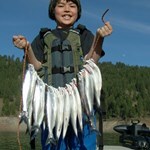 Major lakes include and smaller lakes include Dardanelles, Round, Showers, Elbert, Tamarack, Ralston, and Angora Lakes. The stretch between Meyers and South Lake Tahoe is known as Lake Valley. 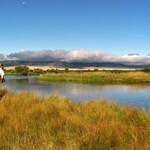 Historically, Trout Creek was tributary to Upper Truckee River in the Truckee Marsh area near the lake. But with development of the Tahoe Keys, the Upper Truckee River was channeled to the lake and currently the streamflow of the two tributaries combine only during high runoff. 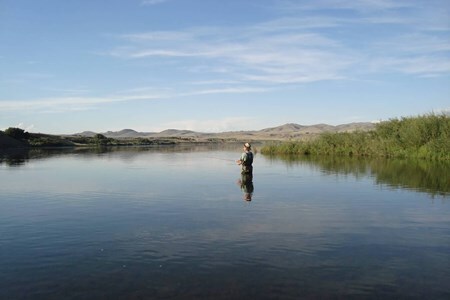 A tributary of the Missouri River, the the Dearborn River is approximately 70 mi long. It rises from the ROcky Mountain Front, runs east through the foothill prairies, and descends ... moreinto twisting steep canyons before meeting the MIssoouri River below Craig. 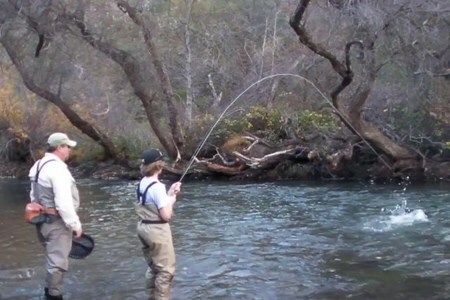 Anglers generally run the river when flows range from 200 to 600 cubic feet per second. 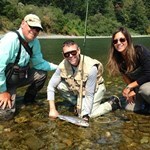 It is a popular destination for fly fishing. 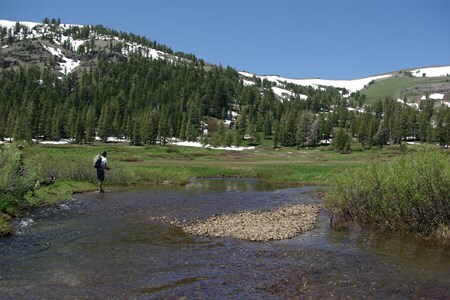 Born of the spring snowmelt from Mount Dana and Mount Lyell, the Tuolumne starts in Yosemite National Park and runs for over fifty miles before entering the Stanislaus National Forest ... moreand public land managed by the Federal Bureau of Land Management. 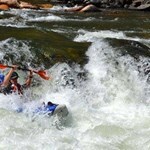 Flowing through some of America’s most glorious scenery, its whitewater rapids require respect as well as permits before entering its turbulent rifts. 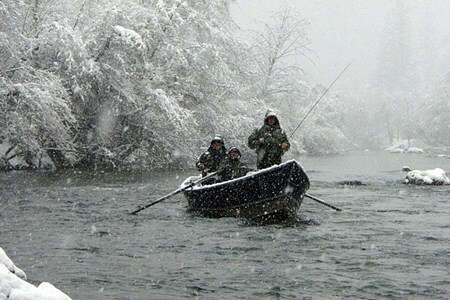 If you choose to float the river, the optimal time is between May and September. Water levels vary according to releases made by the Hetch Hetchy Water and Power agency as they manage the dam. Permits can be obtained from the Stanislaus National Forest’s Groveland Ranger District Office or by visiting the US Forest Service website. 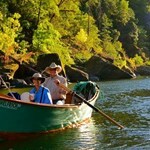 Flowing for over 300 miles from its headwaters at Alturas, California, to the Sacramento River at Shasta Lake, the Pit River is one of the longest rivers in northern California. 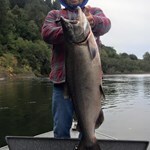 Full ... moreof fish, the river is home to rainbow trout, sculpin, hardhead, Sacramento suckers, speckled dace and Sacramento pikeminnow. From over 13,000 feet on the south side of Mt. 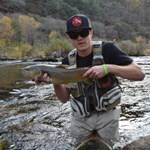 Lyell, the Merced River gets off to an icy, cold start. 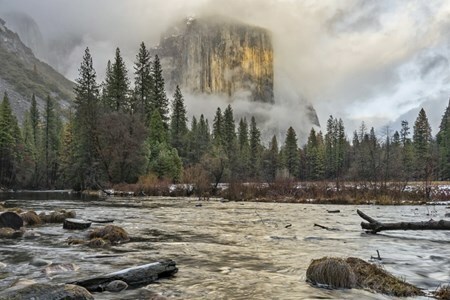 Winding through ancient canyons, carved by glaciers from another age, the river ... moreflows through Yosemite National Park down to the Lake McClure Reservoir. 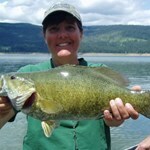 Its journey includes snow-covered peaks, alpine and subalpine meadows and clear, fresh water lakes. 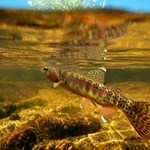 Pristine and largely unaffected by outside influences, the South Fork of the river still boasts one of the few self-sustaining populations of rainbow, eastern brook and brown trout.